My Daddy Cooks is a fabulous video blog made by Nick Coffer featuring his gorgeous toddler Archie. In it they cook fresh, creative and varied food together on camera in their tiny kitchen. After adopting a “baby led weaning” approach to solids when Archie was 6 months old (no purées or mushes, just eating and enjoying the same food together round the table as a family), Archie loves food and cooking and these videos really show this. Nick has his own radio show now and his first book out on May 26th and was recently on the vanessa show…he is that good! he is also really clear and makes you feel you can cook too even with kids! At the moment Annabel’s blog is all about her new show Annabels Kitchen where she cooks with 2 madcap penguins and really engages kids with food. It’s been on CiTV if you missed it and there is a great book to go with it. My 3 year old keeps ‘reading’ it and showing me pictures of clown sandwiches and the like! Annabel Karmel know s a lot about baby, toddlers kids and food she is also the best selling parenting author int he UK. She gets that kids like things to look good but that parents want good nutrition. Do take a look at her blog she often post recipes and ideas up hat may really inspire you. 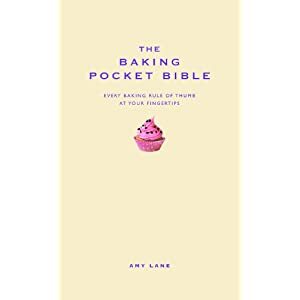 The wonderful Amy Lane has recently published her fabulous fiorst book The Baking Pocket Bible which is an absolutely brilliant resource for loads and loads of need to know baking ideas. A book to pass on indeed! She also writes a tremendous blog called Cooking Cakes and Children where she shares recipes and muses on cooking with kids. She also owns an online shop called cake shop corner where she sells yummy cake balls! There is no end to this ladies talent …do check her out. Every childs idea of heaven (oh and mine!) Do take a look at her wonderful blog. This fab blog is written by Jen (who also blogs about family life The Madhouse) and Cass (who blogs at The diary of a frugal family) about frugal family life. Both women are absolutely comminted to providing healthy food for their children but are on strict budgets. Here they share lots of ideas around frugal and delicious food with recipes, mealplanners and reviews. Frugalicious Food is perfect for baby budgeters! Well these are my top 5- just to point you in a few different foodie directions. Of course this is just my view. Would you like to share your top foodie blog or share some info on yours? Thank you will check it out!